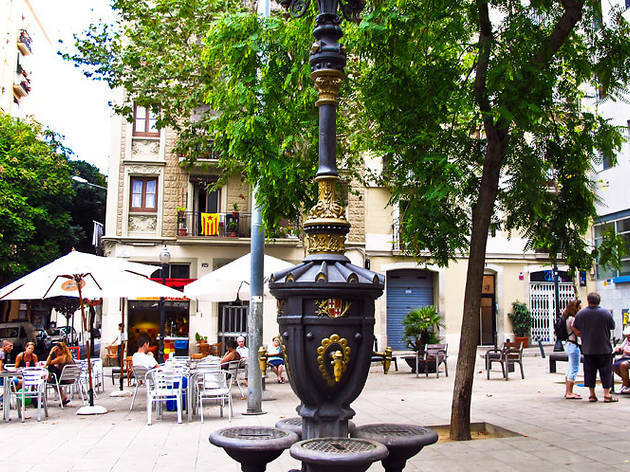 Barcelona is full of beautiful squares ('plaças' in Catalan, 'plazas' in Spanish), but we're especially fond of these eight for their historical significance, where they're located, or their restaurants, bars and cafés. As you're exploring the city, keep your eye out for these favourite outdoor spots, or head directly there, and stop and enjoy them for a while. 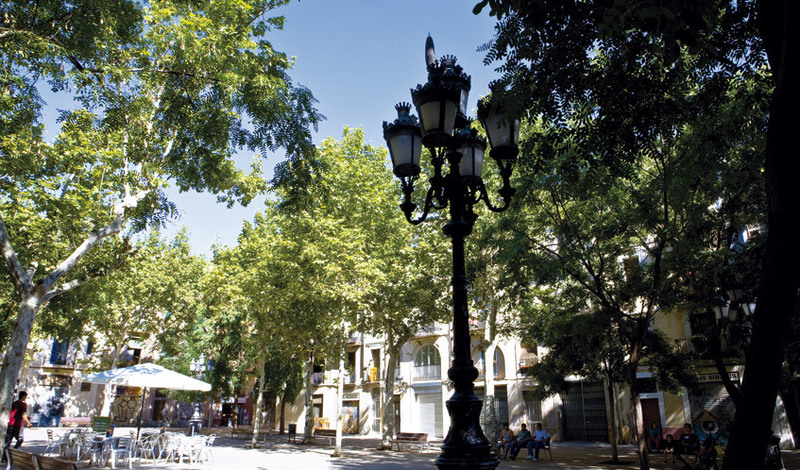 Poblenou's most emblematic square is the one that also houses the oldest residences. These humble, white 19th-century buildings that line the square were the homes of fishermen when Poblenou was a fishing village. 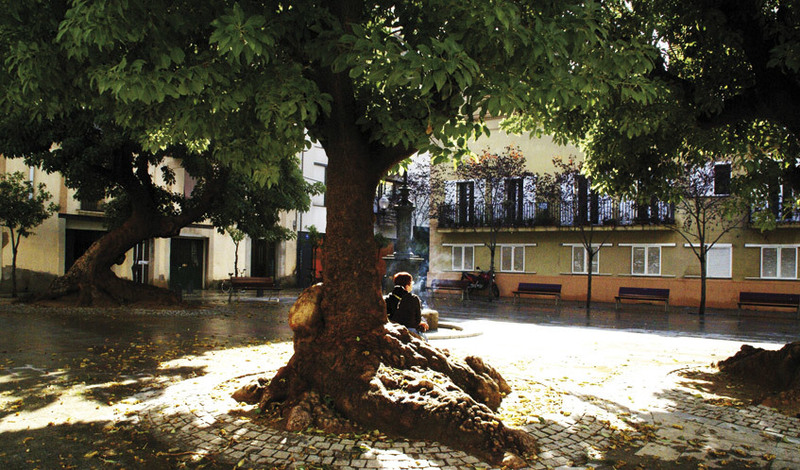 Small and sweet Plaça Prim doesn't need a lot of frills to seduce passers-by. 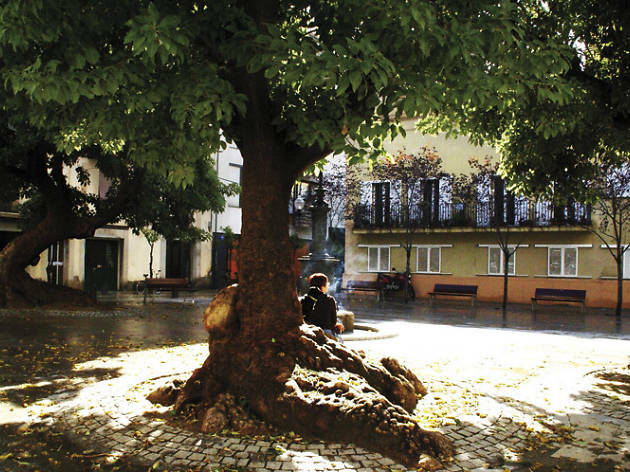 Three fantastic ombú trees, a less-than-spectacular fountain, a few benches and a single restaurant – but what a restaurant! 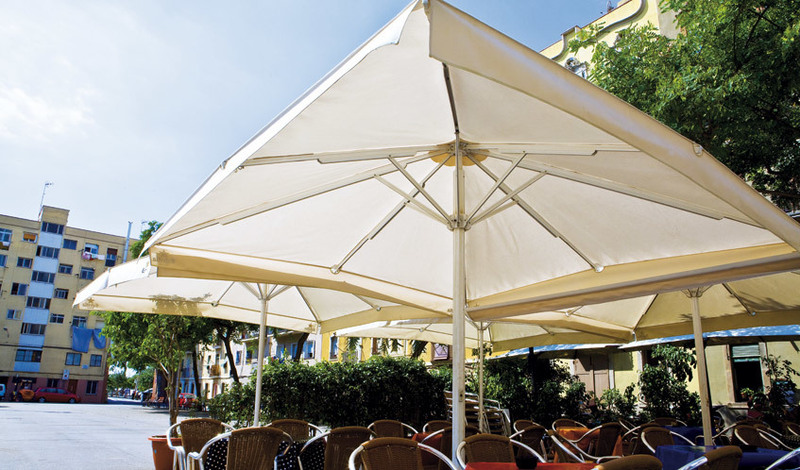 Els Pescadors has the privilege of exclusive terrace rights and, while you can become a part of the elite set with cash or credit card, it's imperative that you order from their selection of fresh seafood dishes to set everything right with the world. After visiting the square, treat yourself to a refreshing horchata or ice cream at Tío Che, a classic on the Rambla de Poblenou, just a stone's throw from Plaça Prim. Ah, Poble-sec! The once-overlooked district has quickly become the new place to be for locals who want to escape the more tourist-friendly areas. 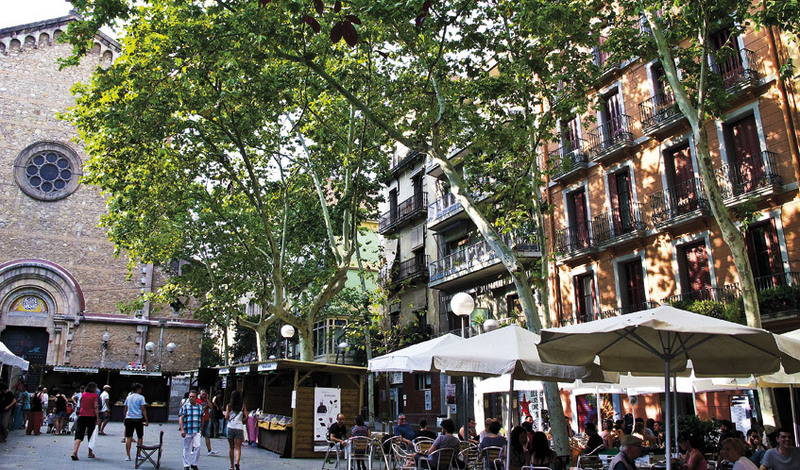 Beyond the chaos of the bars on C/Blai (bless them), Plaça del Sortidor is a refuge for residents and visitors in search of a bite or a quiet beer. It's hard to find a prettier little square in Poble-sec, despite the underground car park that exits right into the middle of it all. 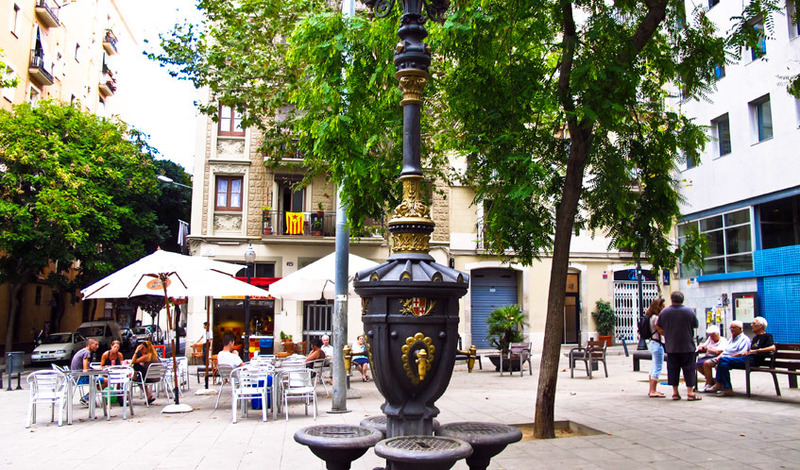 It's been a while since the neoclassic fountain that gave the square its name was moved up to Montjuïc, but never mind, you won't go thirsty, or hungry for that matter: Luki, La Soleá and El Sortidor are on hand to to look after you. Nothing overshadows the steeple of the church of Santa Maria del Remei. At 40 metres high, it's got no competition in this square surrounded by lovely 19th- and 20th-century buildings. You're in the heart of the 'Eixample de les Corts' and there's nothing here to remind you that busy avenues and skyscrapers are just around the corner. 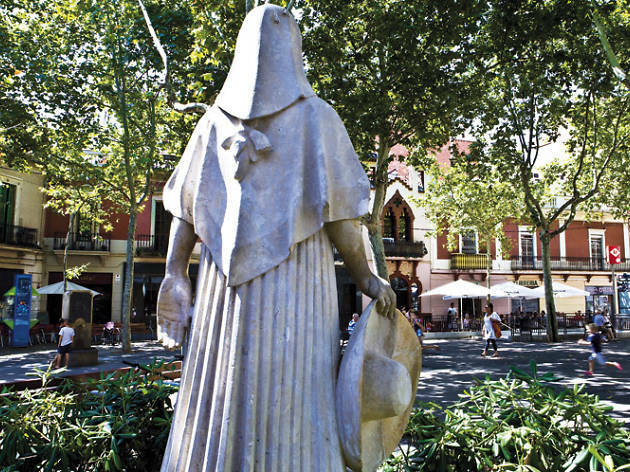 Plaça de la Concòrdia is the most charming spot in the neighbourhood, proof that long before the L'Illa shopping centre or F.C. Barcelona les Corts existed, there were little corners like this. Still making history are the Antiga Farmàcia, which began selling its potions in 1860, and the Mas Deu civic centre set in a magnificent 1897 modernista palace. Fragments Café is a perfect place for a bite, a vermouth, or something stronger. If you can't find a spot on the terrace in the square, head inside where there's plenty of room. 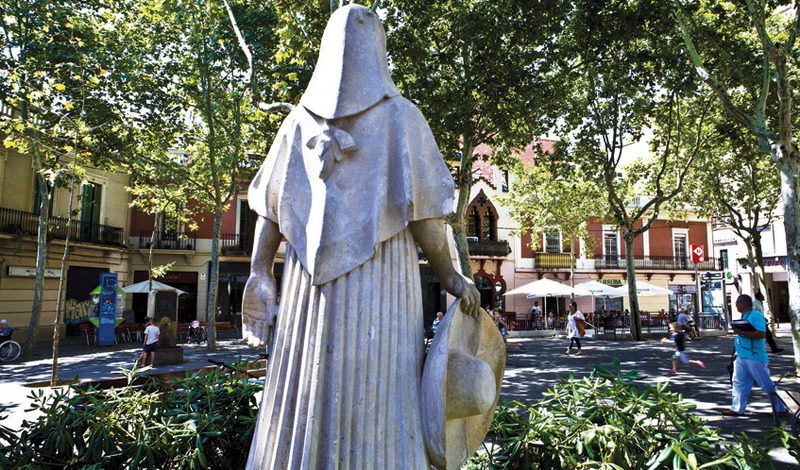 From the kebab shop to the traditional Catalan restaurant, this square in the Sants neighbourhood invites you to quench your thirst and eat your fill. Fancy a craft beer and good croquettes? Head to Homo Sibaris. Dying for some focaccia and fresh juice? Get ye to Teta de Monja. 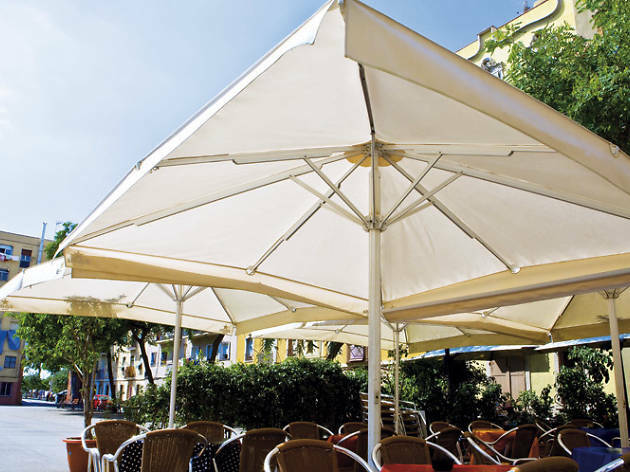 The count stands at more than ten bars that spread across the square, with four tables each. Despite this manna of chairs and tables, finding a spot to stop at night is no easy task, but when you do score a seat, no one will evict you from your little piece of urban paradise. On a practical note, you should know that the terrace closes down at 11pm. And Fo Bar is a great option for healthy food and plenty of libations. 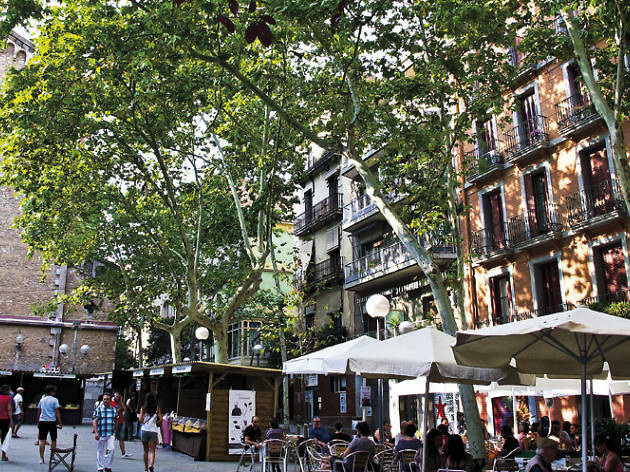 It's not the square with the most bars in Gràcia, nor is it the barrio's prettiest, but it's where you'll have the most fun. 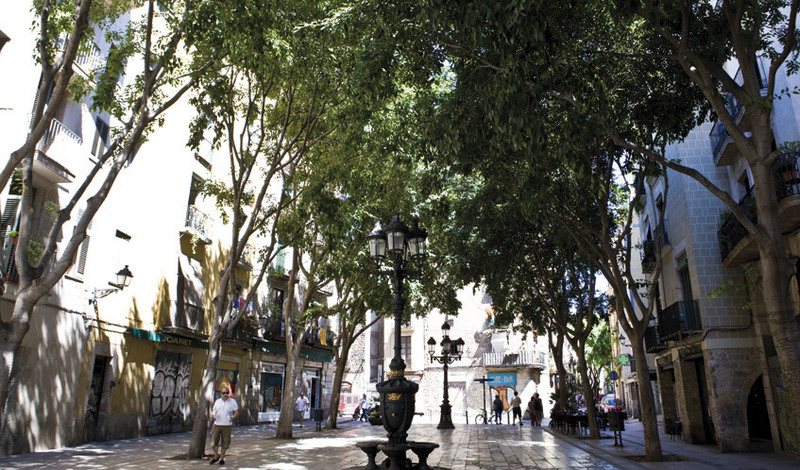 The rivalry between the three bars – Bar Virreina, La Cafetera and Terra Bar – is legendary, but what matters here is the atmosphere, which is cosmopolitan and relaxed, inhabited by those heading to and from the Verdi cinemas or the Teatre Lliure, students of the Swingmaniacs dance studio or the Taller de Guionistas writers' workshop, locals who are down for their morning coffee or an afternoon ice cream. Swing dancers take over the square many a Sunday, and after-school hours see the square converted into a battlefield of children filling water balloons from the fountain. And if you have got the kids with you, head to Bateau Lune at number 7, one of the most loveable toy shops in the city, thanks to the warmth of the owners and their incredible inventory. 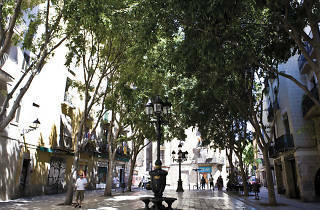 Located in the heart of the old part of Horta, Plaça Eivissa is a square with a not-really-a-square shape. 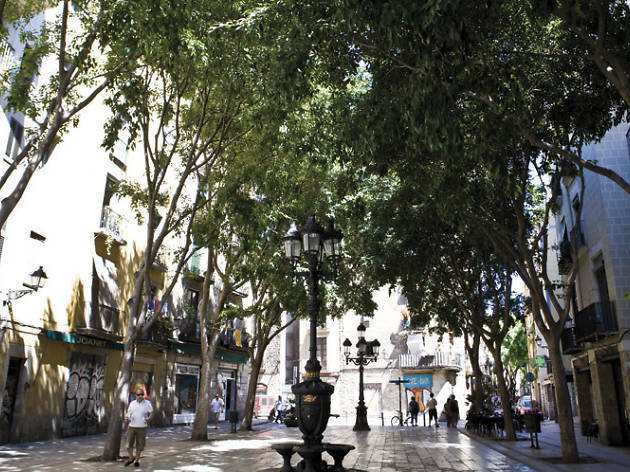 What also makes it unusual for a square in Barcelona is that it exudes the very essence of its environment, in the middle of a neighborhood that's not putting on airs. You'll find no trace of retro-bodegas, hipster bistros or gastrobars, no cupcake cafés or muffin bars. And nobody misses them. Locals and visitors alike gather around tables topped with classic taps, a couple of beers, maybe some churros or a pizza. For example, Quimet d'Horta has been around for so long that it's become a true institution in the neighbourhood. And Louise Se Va is a modern classic, with sandwiches and salads bearing names of rock 'n' roll legends that are just as tasty as they are cheap. 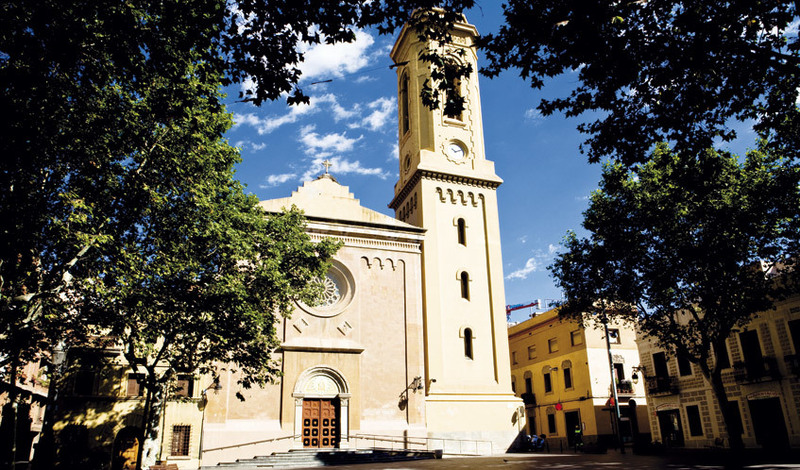 Plaça Eivissa is where you go to detox from the hectic city centre. 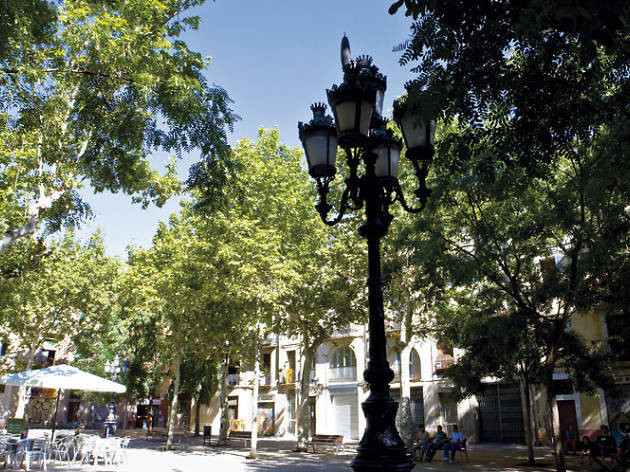 This square is far from one of the most beautiful in Barcelona, and it's not even the prettiest in Barceloneta, but what it has going for it is that it's a little respite in an area that tends to go overboard to paint on thick scenery for tourists. It's not that it's a square free of foreigners, but here they live in harmony with the locals. Perhaps the proximity of Bar Leo, the epitome of a local bar that's been around forever with a touch of the gritty, is what makes this miracle possible. If you fancy a bite or a drink, stop in to Filferro for gorgeous sandwiches, or to Absenta for your choice among more than 20 different types of absinthe. By the way, Hilari Salvadó, a son of Barceloneta, was mayor of Barcelona between 1937 and 1939, and over the years worked to protect citizens from bombings. Having to choose a single square in the Born was quite the challenge. It could have been the magical Plaça de Sant Pere de les Puel·les, or the one on C/Allada Vermell with its abundance of terraces and that façade full of plants that transports you to a town from 30 years ago. 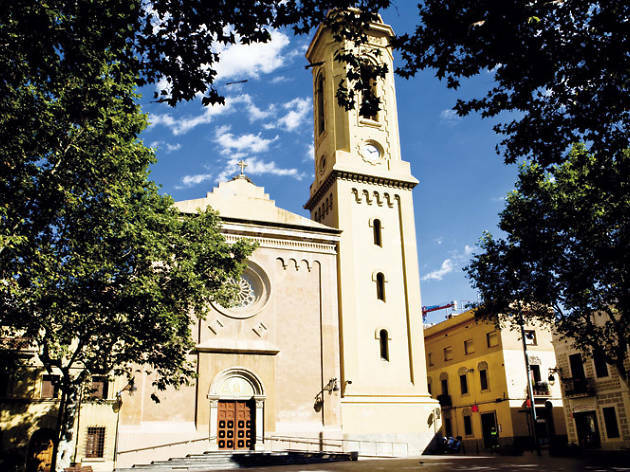 But the final decision went to Sant Agustí Vell, and not just because it's beautiful, but because it has the power to project calm amid the din of the Born. By day, you can buy organic fruit and vegetables in La Hamaca (No 15), or have lunch in the cosy Joanet (No 6). At night you can grab a bite in the tiny and alternative El Perro Blu (No 10) or try the Mexican cuisine in Costa Pacífico (No 13). And don't forget to book a table for Bar Mundial, a favourite of writers García Márquez and Vargas Llosa. It's not surprising – their tapas could inspire a hundred novels.